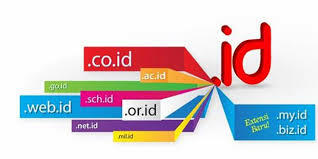 The introduction of a new top-level domain (TLD) for Indonesia constitutes “a major change to Indonesia’s website and domain listings,” according to a joint press release issued by Edelman Indonesia, the largest public relations firm in Indonesia, and Januar Jahja & Partners (JJP), a leading Indonesian boutique intellectual property law firm. The shorter .id domain will be rolled out over the next seven months and is divided up into three priority registration periods, followed by general availability beginning August 17, 2014. Januar Jahja & Partners and Edelman Indonesia are partnering on this project “to prepare our clients for this change by advising them on how they can proactively register their company name or brand under the new .id domain.” The full press release can be read in English here and in Indonesian here. JJP’s client alert on the implications of this new domain for Indonesian trademark owners and those with interests in Indonesia can be read here.